12 years ago < man that makes me sound old > when I was in college studying design, I took a Saturday class studying typography for 6 hours straight. 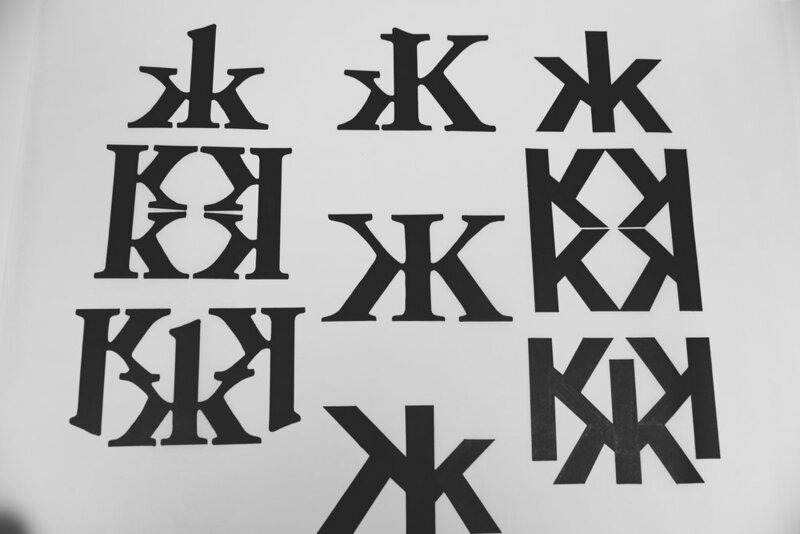 Not only did we study the characteristics of a typeface, but we also had exercises experimenting with hybrid forms of a letter. The process of studying, drawing, and experimenting on a very analog level has always stayed with me. It’s very easy to work on a screen 12 hrs/day, but there’s also something very static and rigid about it. 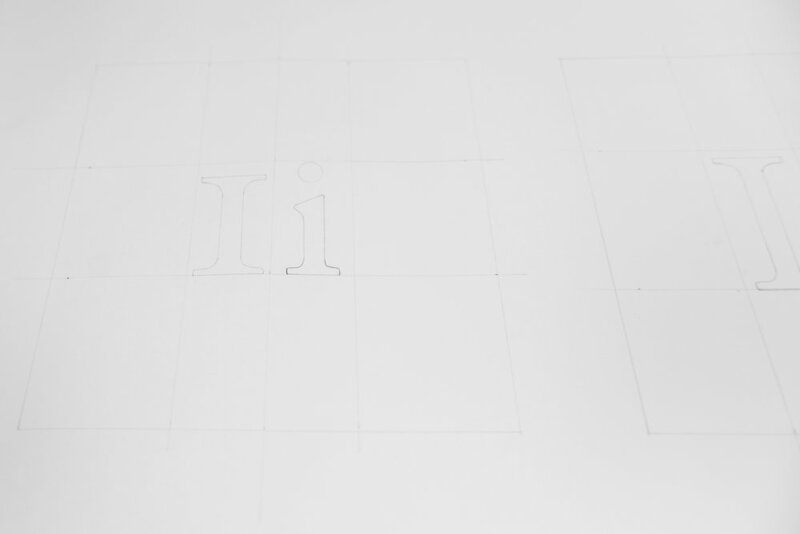 For me, when I work with my hands, put pen to paper, construct a grid with 0.3 lead, shuffle, overlay, ink in, screw up, measure, or just sit and look at the paper and think - I feel free. My hand doesn’t cramp up. I lose track of time. I don’t dwell on thinking about what I should draw. I just let the lines form themselves. I let them come together through a form of automatism. These studies are a sample of that. I loved the class from day one. I got sucked into this exploration state where all I wanted to do was draw letter forms in varying weights, fuse serifs with sans serifs and distort letterforms. I pushed them to the edge of being barely recognizable and then reduced them to their most basic element. The combinations seemed infinite to me. 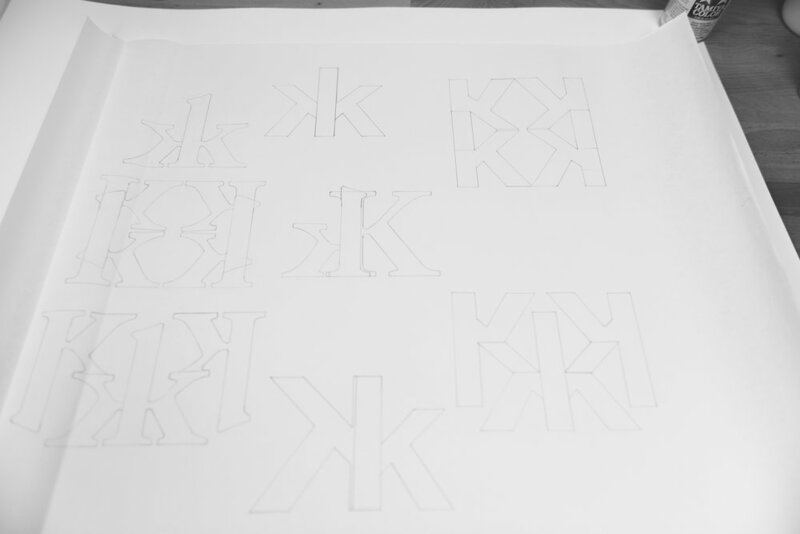 The idea of limitless possibilities kept me up at night, constantly working on these hand drawn letterforms that would take hours. This made a six hour Saturday class end in the blink of an eye. //. Above: How much of a character can you take away before it becomes unrecognizable? //. Above: Mirror. Flip. Join. 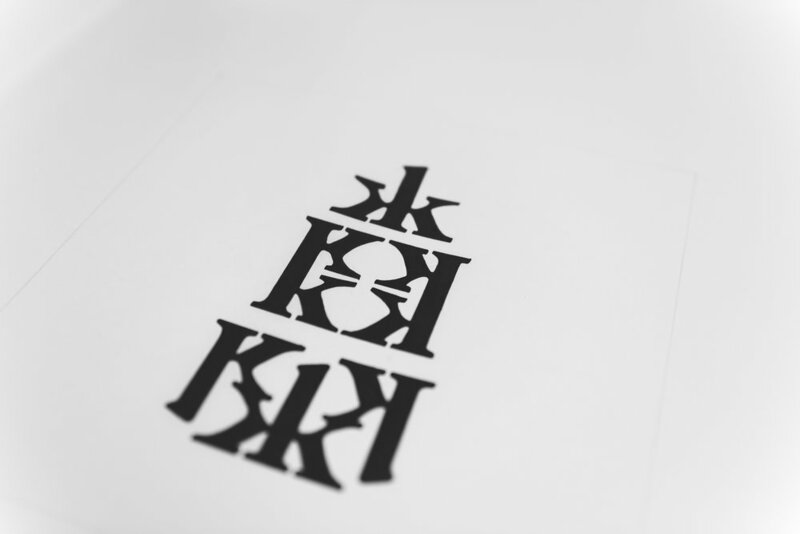 It all started with a few simple print outs of some Helvetica Neue characters. The brief for the exercise appeared to be very fundamental from the surface, but as it developed, it turned into something a little more deeply rooted. //. Above: Structured symmetry through a precisely measured grid. Studying a character’s baseline, x-height, weight, ascender, cap height… can teach you about a font’s personality, elegance, and complexity. It also taught me about certain characteristics that I did not like. So, I began exploring. What would these characters look like with no serif, with the ascender stretched out, with the character mirrored and overlaid on top of each other? And the more I explored, the more I dove deeper into each of these hybrids. But underneath these hand generated drawings, there was one issue I kept coming across. The drawings I was creating had a very meticulous grid that I penciled in very methodically. It was one of the very handmade qualities that I loved and found trouble replicating digitally. I scanned these drawings in and started to re-create them digitally, but then they would lose that special something about them. But I kept experimenting on the computer. Little by little, tinkering at the idea. And just as it always happens. BOOM. The idea dawned on me. If I wanted to replicate the hand generated look, why not take some of the basic elements from the drawings? I wanted to have that penciled look, but with a more refined digital feel. Which led me to the idea of using gray in various shades as the primary color scheme, along with varying degrees in the weight of the stroke. Something very much like what happens when the tip of the lead on a pencil starts to wear after prolonged use. 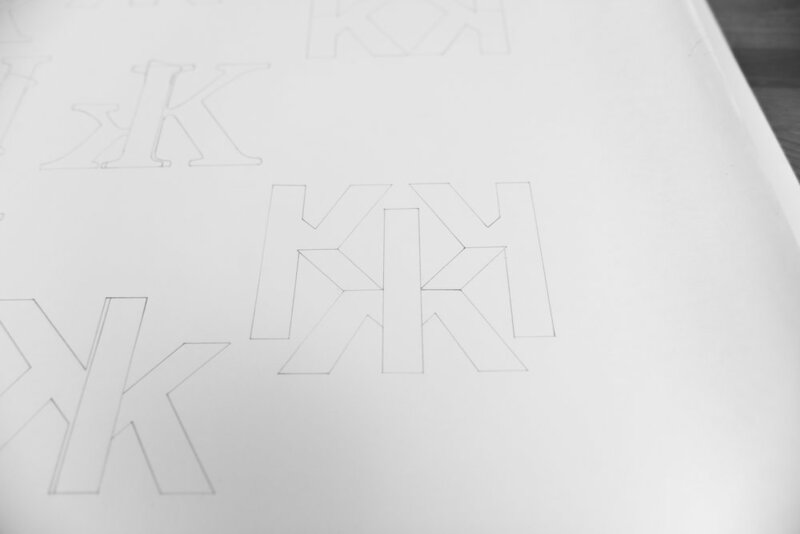 Another interesting thing about these explorations, is how an idea for a logo could be generated with a simple crop. Tilt, rotate, mirror, flip, and play around with shapes that could be used as a mask in your cropping method. To Serif, or not to Serif, that is the question. These are not completed works, but more of an ongoing study. 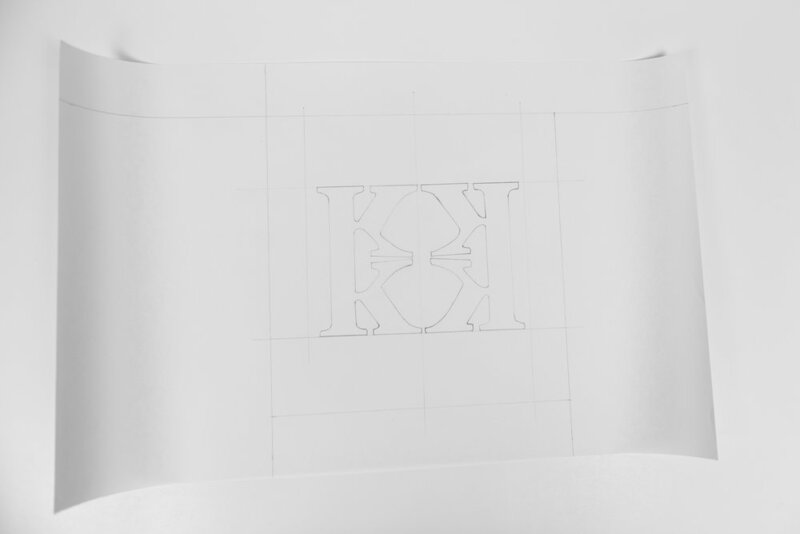 I intend to keep working at these visual forms and in the end, create 6-7 final forms out of the entire alphabet.